Skills USA is a partnership of students, teachers and industry representatives, working together to ensure America has a skilled work force. It helps each student excel. Skills USA is a national nonprofit organization serving teachers and high school and college students who are preparing for careers in trade, technical and skilled service occupations, including health occupations. It was formerly known as VICA (Vocational Industrial Clubs of America). 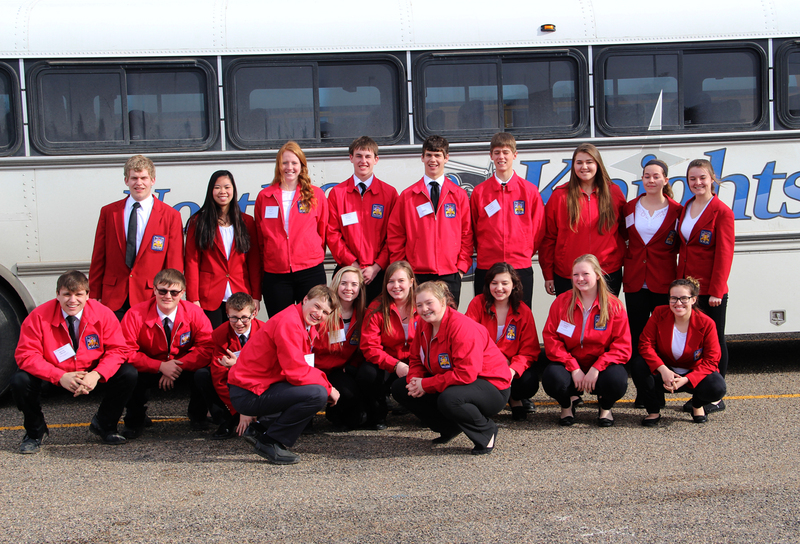 Our Skills USA chapter competed in Havre on April 9-11 and had a great conference. The members who won gold qualified for the SkillsUSA National Conference in Louisville, Kentucky on June 19-23. Thank you to the advisor, Mr. Steve Simonson, and bus driver, Charlie Chvilicek.